A Rinkya Blog: Happy Girl's Day! 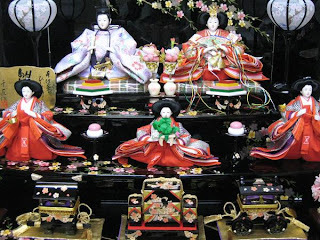 Hina Matsuari is "Girl's Day" in Japan and families pray for the happiness & prosperity of their girls and display beautiful Hina sets on step tiered stands. Image on Sale on YJ Now!